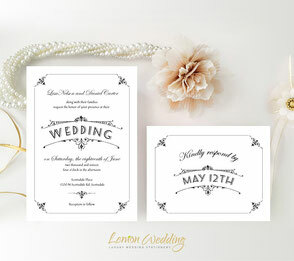 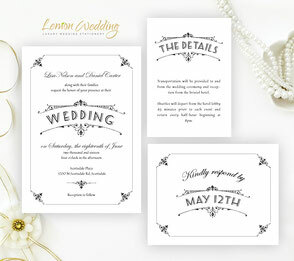 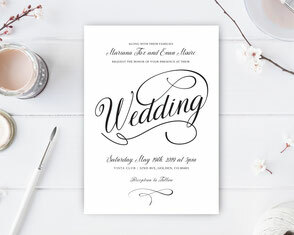 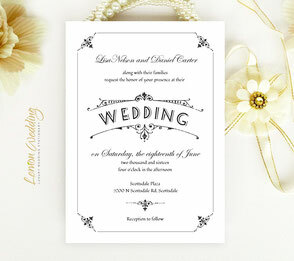 Formally invite your guests to your traditional wedding with one of our Simple Wedding Invitations. 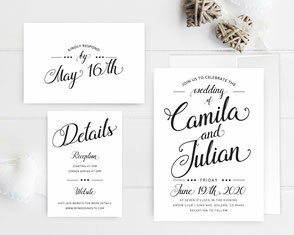 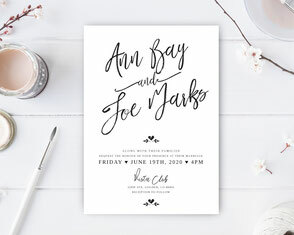 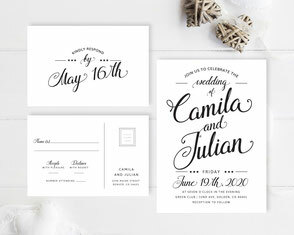 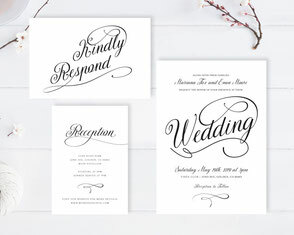 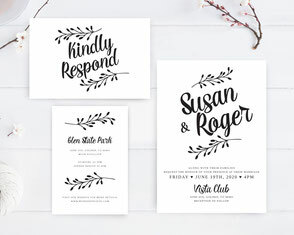 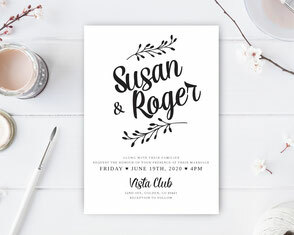 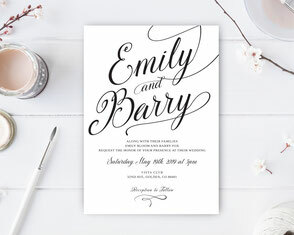 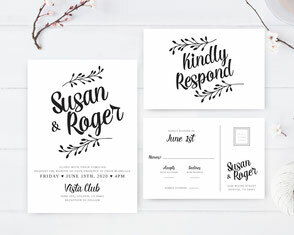 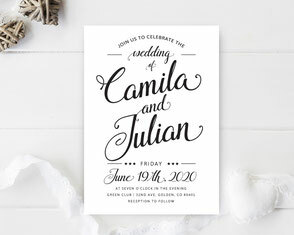 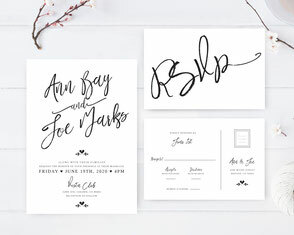 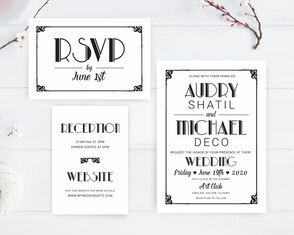 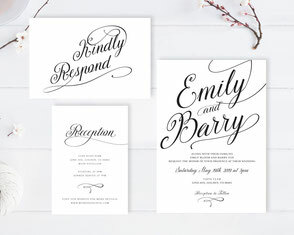 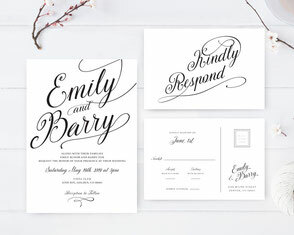 Whether you’re having a charming formal affair or preparing something more traditional, our simple invitations will perfectly compliment the occasion. 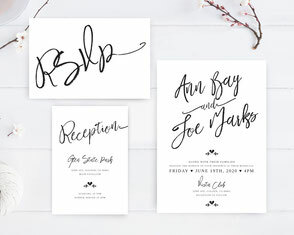 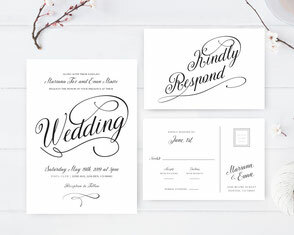 Choose from our selection of classic black and white cards that features exquisite calligraphy and timeless finishing touches. 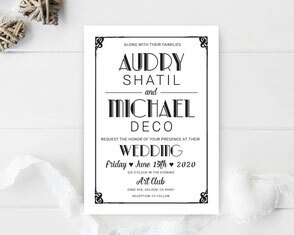 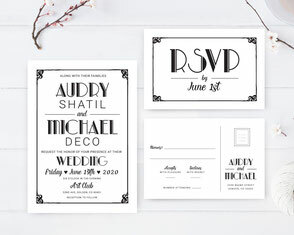 Our selection also features several writing styles and themes including casual to formal and retro, making it easier for you to find a card that captures the mood of your upcoming nuptials.